Two Tone Sheer Organza Fabric is a wonderfully light and transparent see through fabric with an shimmering finish that catches the light beautifully. This two tone fabric is perfect for creating window displays, backdrops and theatrical displays, as well as for clothing, fancy dress and costume. It also makes a perfect accent for embellishments in fascinators and party favours etc. 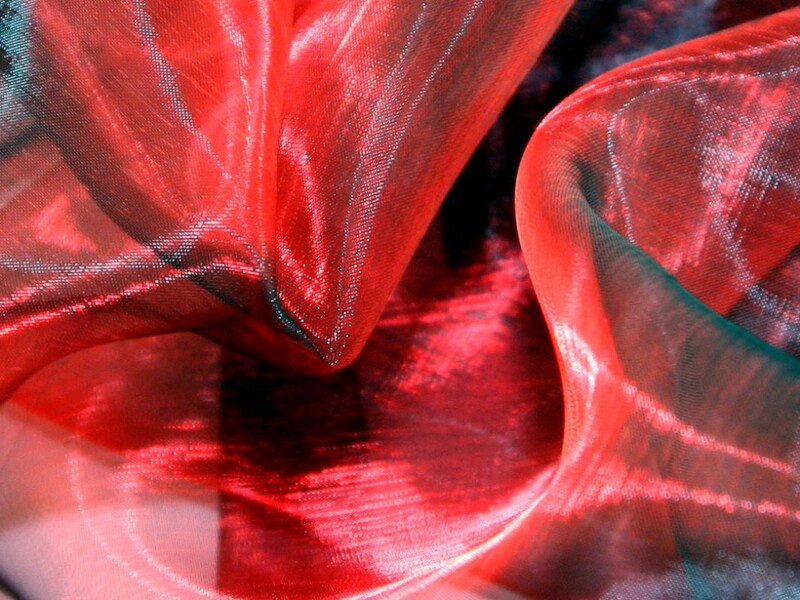 You can be really creative and create some fantastic effects shimmering effects with this fabric on a budget! It is non stretch, machine washable and available in a whole range of colours. I needed a true purple/red combination for my specific project. The primary color of this fabric is a bright blue. Red shows a little but there's flashes of orange as well so unfortunately, I am unable to use it. I'm giving four stars only because of the color, but the fabric itself is very nice.